The second week of my USA holiday, flying from Pittsburgh to Boston via La Guardia with Delta Connection, before travelling to stay in New Hampshire and visiting Maine and Vermont. Eventually I returned home via Halifax and an unplanned visit to Toronto. This is the second half of this trip. The first half, visiting Pittsburgh, is here. A flight report video of my flight from Pittsburgh to New York LaGuardia is here. A travel video from Mt. Washington is here. 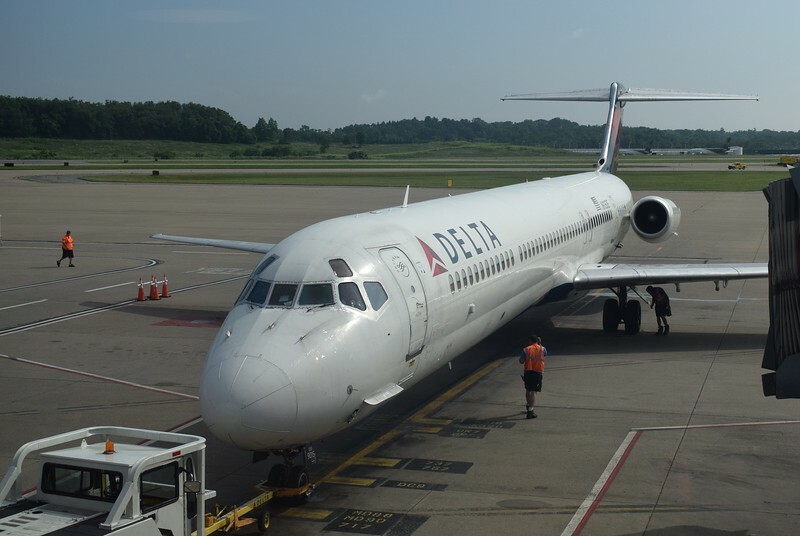 Delta Airlines McDonnell Douglas MD-88 N915DE pushing back at Pittsburgh Airport.